Atmos is different that previous surround sound formats. Rather than splitting movie audio into different channels, Atmos allows movie directors to position sounds (objects) in specific places in the room. Atmos automatically figures out the current position of the object relative to the room and then plays the audio from the appropriate speakers. The ideas is to create immersive audio that moves around the room and sounds realistic, as opposed to sounds simply coming from the left/right or front/rear. In order to create this immersive effect, Atmos needs more speakers. In addition to the standard 5.1 or 7.1 speaker setup, a home theater might have two sets of speakers on the ceiling (two in the front and two in the rear). 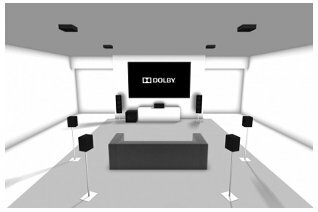 Because many people may not wish (or have the option) to install ceiling speakers, Dolby has created the option for virtual ceiling speakers. 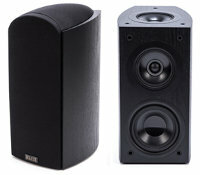 These special Atmos speakers will actually be two sets of speakers in one. For example, you may have front speakers that fire sound out to the audience and also have a top speaker that points toward the ceiling where sound is projected and bounced off the ceiling, creating the appearance of a ceiling-mounted speaker. One of the benefits of Atmos is for movie producers. No longer will they have to create multiple sound tracks to work with the various audio formats. Atmos allows them to create a single audio soundtrack and Atmos will automatically detect the number of speakers in the audio system and configure the audio to play correctly with the speaker setup. Even though it seems nearly impossible to keep up with the ever-changing audio formats, Atmos does seem to be a legitimate step forward for home theaters. Unfortunately, it will require some rewiring and probably some new equipment. Although movies in the cinema are starting to adopt the Atmos format, it will still take time for this format to become standard.